This board was created and is maintained by Dave Gilbertson (Dave G on the board). This board is the official message board of the Washington Wrestling Report web site which has results and wrestling information from all over the state and nation. Posts that I feel are false or offensive may be edited or deleted. If something gets posted that you feel is inappropriate you can email Dave Gilbertson to give me the details and ask me to consider deleting the thread (or post), which I have done when requested. "Evil triumphs when good men do nothing"
Use the WWR web site (click here) to get tournament results and schedules or, use the message board below for information from individuals or to just talk about wrestling. 1. Don't argue with an idiot; people watching may not be able to tell the difference. 2. Mud wrestling with pigs - Don't do it, because you never win, and eventually you realize the pig enjoys it. No private pay events or services will be listed on this page. These are listed on the Events/Camps Page and the info on how to buy a listing is down below, as well as on the front page. Information on how to advertise on this site! 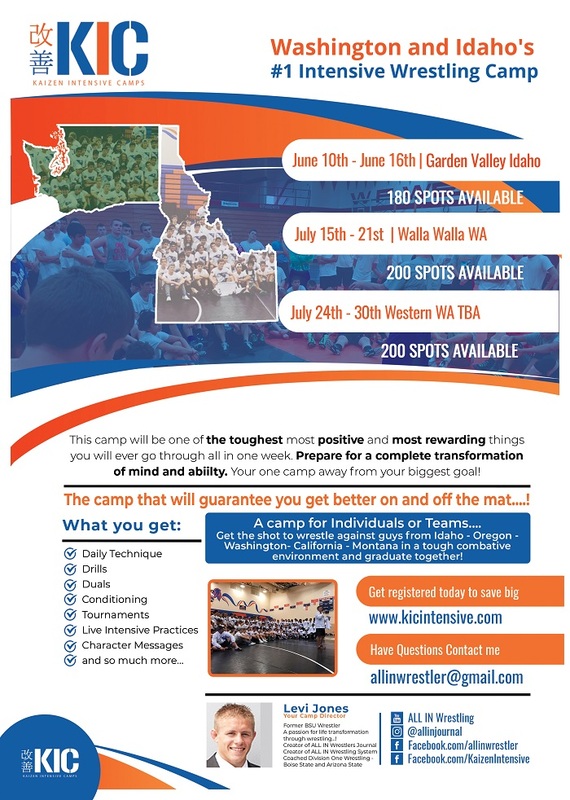 26 years running as the Washington Intensive Wrestling Camp. Get 100 plus matches, duals, mental toughness, tournaments, technique, character messages over 7 days and 6 nights 24/7. This Is Where Champions Go To Prepare…! 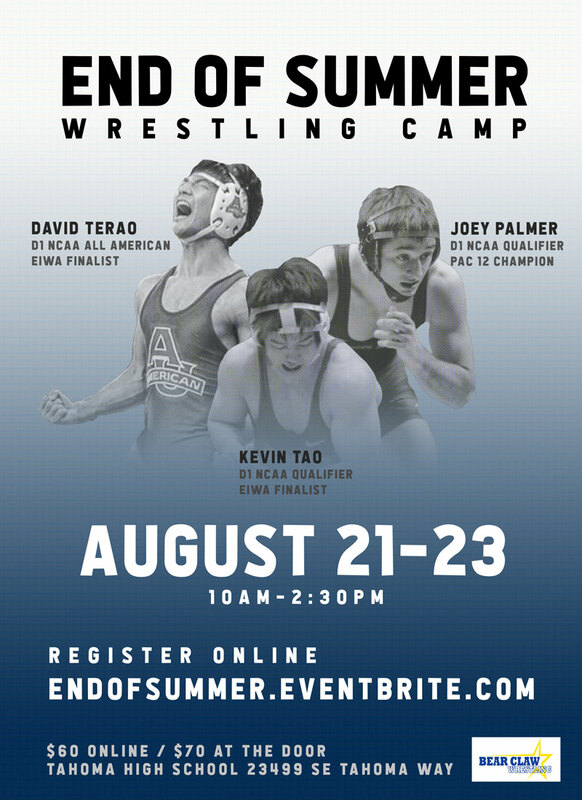 Bear Claw End of Summer Wrestling Camp – August 21-23. Joey Palmer and Kevin Tao are back with special guest: D1 NCAA All American David Terao. Registration Online. JROB Intensive Camps – Since 1978, the original and #1 Intensive Camps in the country teaching technical skill, physical fitness, and mental toughness. 9 Washington State Champs and 26 Placewinners in 2017. 14-Day Intensive Camp in Oregon, 5-Day Technique/Competition Camps in Washington and California. The display advertising space is available for bid. E-mail Dave Gilbertson to make a bid. Best reasonable offer gets the spot. Bid can be for a week or a month. This is by bid process and totally subject to my discretion.